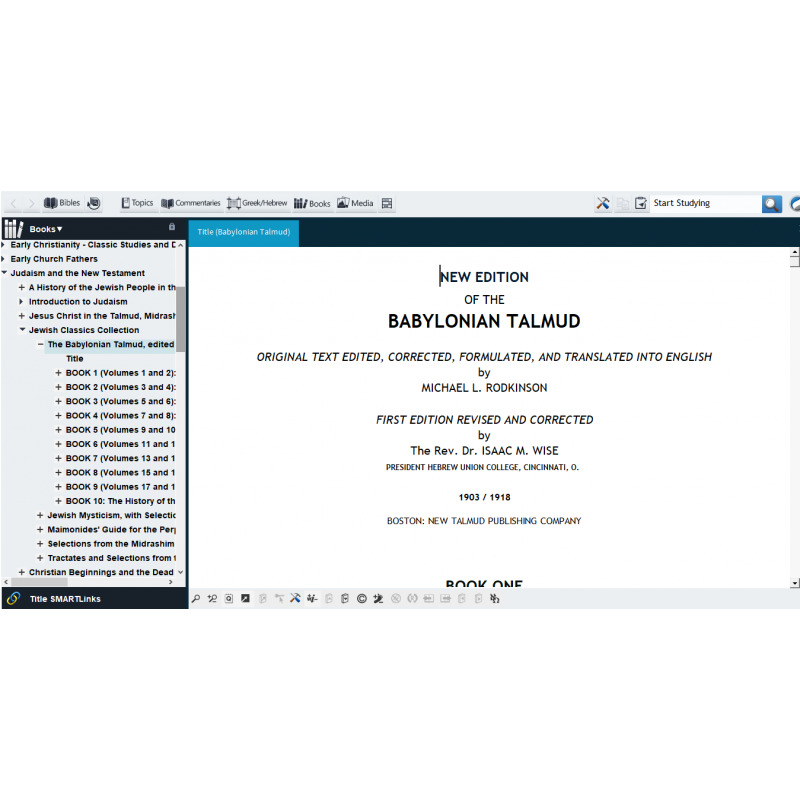 An original collection and compilation of classic Jewish writings—more than 30 volumes, including a translation of the Babylonian Talmud. 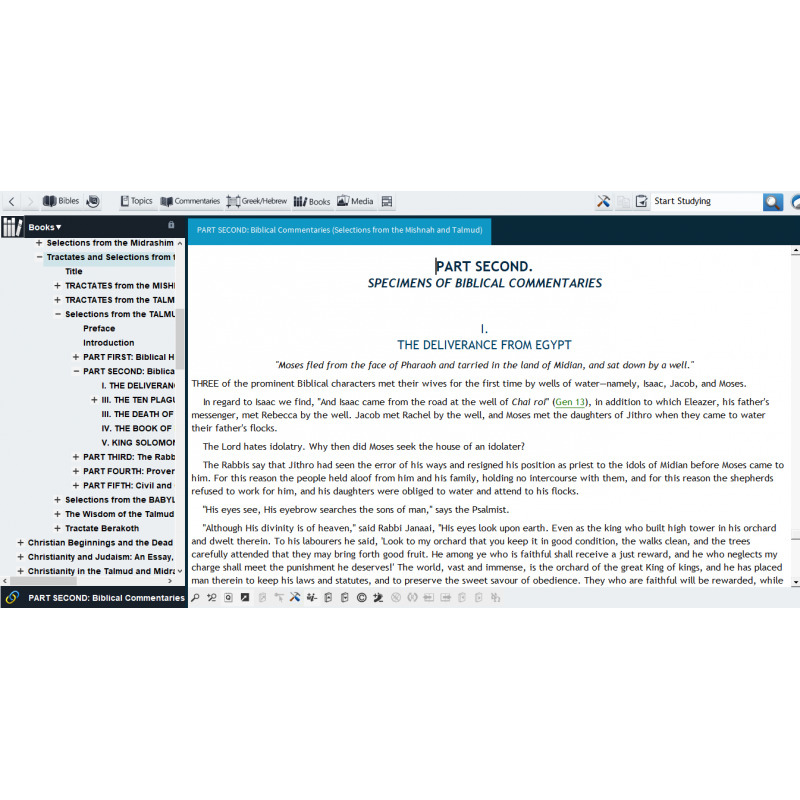 In addition, we include a translation of Moses Maimonides' Guide for the Perplexed, a work immensely influential on both Judaism and Western philosophical thought. Rounding out this collection are the works of Philo of Alexandria (the Greek text and in translation, comprising an estimated 10 print volumes), with the supplemental volume Philo and Holy Scripture by H. E. Ryle. 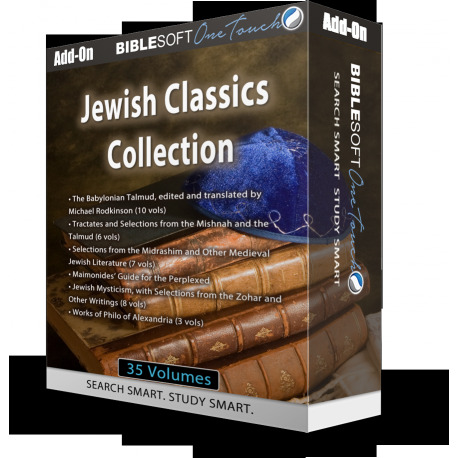 For anyone seeking to learn more about Judaism, this is an ideal collection which gives you access to many valuable works and a rich assortment of selections from Jewish writings! 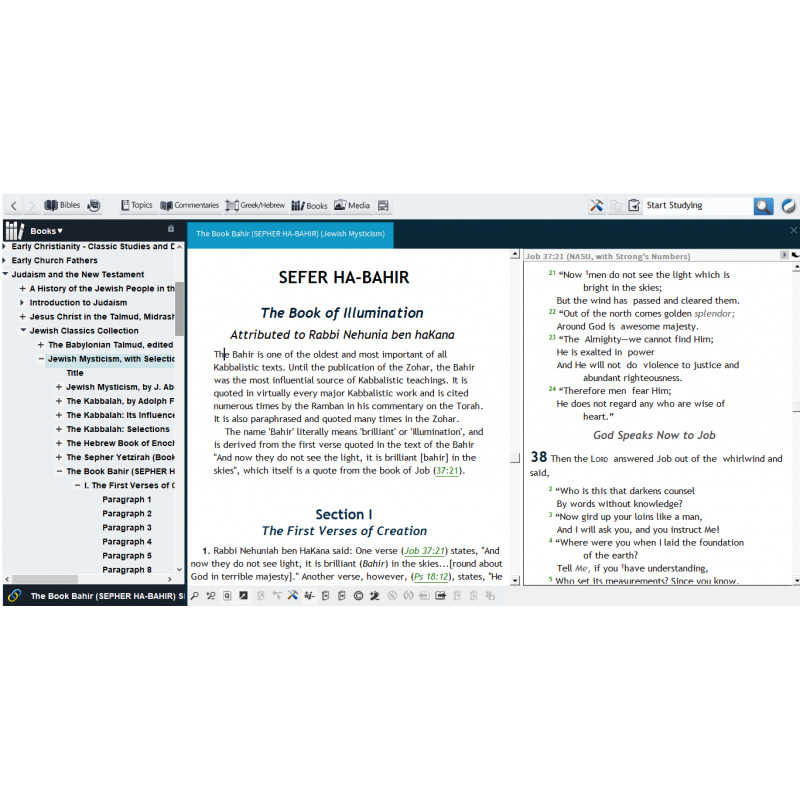 Note: These titles are also included as part of Biblesoft's deluxe Judaism and the New Testament collection.